Get 5 FREE chapters of my upcoming book Elevate Your Network and start building extraordinary relationships in your life, career and business! Every morning I wake up and say it is going to be a great day! I get out of bed looking forward to the difference I get to make in the world. If you want to make the most of every day and maximize your chances of standing out and having fun, we need to connect. Hire me as a personal coach. ​​I love one-on-one coaching and am always willing to help. 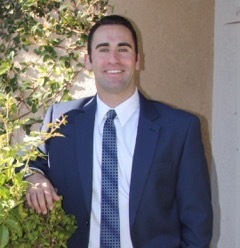 Some of the services I offer include creating an irresistible resume, becoming a champion networker, crushing the interview, making the transition from high school to college, goal setting, creating a positive social media presence, speech preparation and advice on how to get started and take action. Check out my coaching packages and more info here. 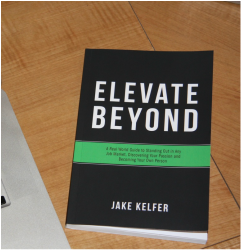 Buy my book Elevate Beyond. ​Elevate Beyond is my first book and it is a real world guide to standing out in any job market, discovering your passion and becoming your own person. The book provides the framework for you to gain an advantage in school, work and life.​ If you would like to learn more about my book, please click here. "Jake was beyond helpful in assisting me with my resume. I am a junior at the University of Michigan studying Communications and Broadcast Media. As I began searching for summer internships, my resume was naturally the first thing I began to adjust. I have had many different resumes in the past, but I had never been completely satisfied with any of them. When Jake offered to help me, I was thrilled and the results were incredible. Jake took the time out of his day to review my resume and then go through it step by step with me. He looked at my LinkedIn profile, to get a sense of the direction I was headed and also to make sure that my resume was consistent with my profile. He gave me great tips on how to adjust my sentence structure, use the most effective format, and condense my qualifications in order to fit as much on the page, without it looking too crowded. I was very impressed with the results; I have applied to various internships since getting Jake’s help, and each time I add my resume to an application, I am confident that my resume will exceed their expectations." “Jake is always willing to give me advice whenever I need it, whether it be professional or academic. With his guidance, I feel comfortably prepared to make introductions and expand my network in both a professional and genuine way." "Working with Jake allowed me to change my resume from one that was average to one that sticks out. I always thought my resume was well put together, and it was for the most part, but Jake’s attention to detail let me revitalize my resume. Focusing on key adjectives and adding more descriptive words made my resume so that it told the story of who I am in more detail, which gives the reader a better idea of exactly who I am. Additionally, Jake was able to make my resume have flair."